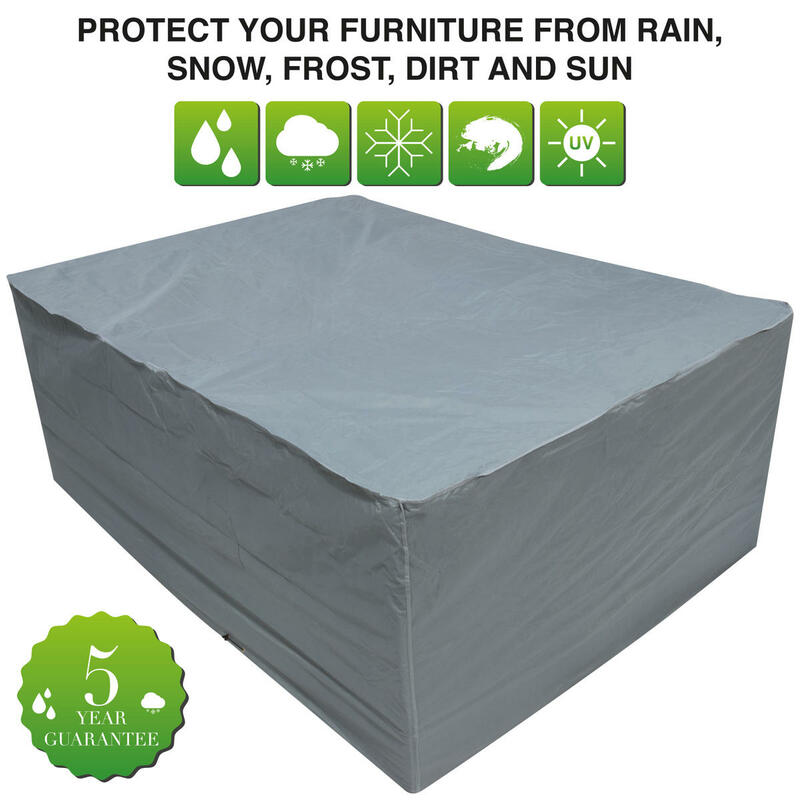 The Grey Oxbridge® premium covers are made from a durable 600D PVC backed waterproof woven polyester with taped seams. Double sewn for extra strength with rust resistant brass eyelets and strong draw-cord for secure fitting. 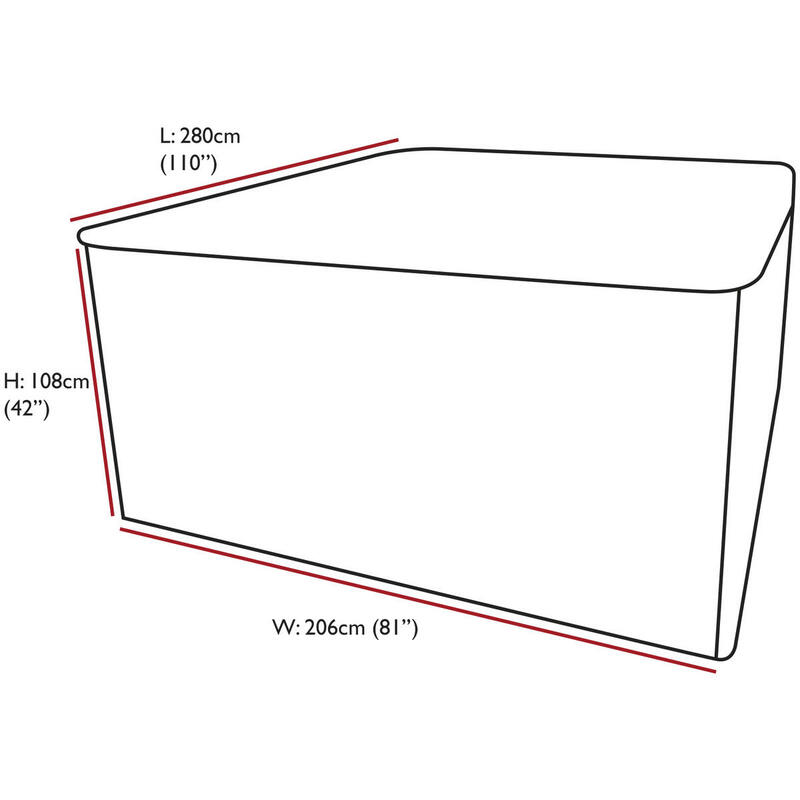 Designed to fit a large oval patio set - Size: Length: 280cm (110”) x Width: 206cm (81”) x Height: 108cm (42”). 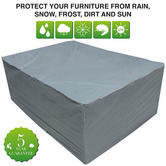 Protect your furniture from rain, snow, frost, dirt, dust, bird droppings etc. Built in vents prevent condensation and mildew. 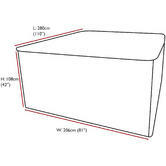 All Oxbridge® covers are great for use all year round. Grab yourself a great cover at an affordable price that also comes with a 5 year guarantee!